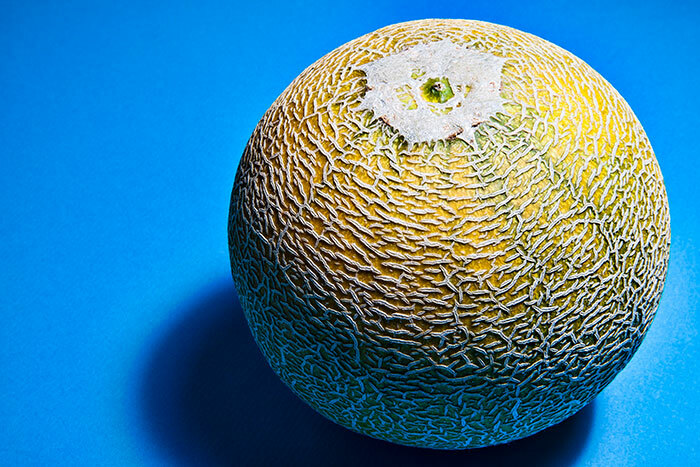 The shot of today is a melon we picked up at the Lively Organic Farm. Today I wanted to talk a bit about how I typically process images. This is the process I use and I imagine every photographer has a different way of doing it and even my methods change a bit depending on what kind of shot it is. But I’ll walk you through step by step how I made this image. First, I chose the blue background for this subject as the melon has a bit of yellow in it and blue and yellow are complimentary colors. I took several shots adjusting my aperture and flash power until I got this image which was my favorite of the bunch. With some images I will do more like correct for chromatic abberations if necessary or I have a few filters that I add at times. But the above steps are the basics that I apply to every image. I basically adjust the above until I see what I like. Generally I will adjust exposure first and then add contrast and clarity. If I need to recover some of the whites I will use the recovery slider. If I need to lighten some of the blacks I will use the fill light slider. Once I have made my adjustments in Adobe Camera Raw I will open the image up in Photoshop. 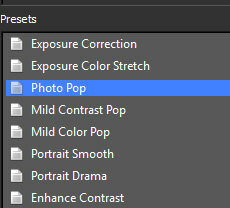 I am using Photoshop CS5 but my process should translate the same to previous versions as well. The very first thing I do is create a new layer. I try and work in layers as much as possible because I like to be able to turn them on and off to see how they affect the image and if I do something that I don’t like I can simply delete the layer. Please keep in mind that I am not a Photoshop expert and certainly would never claim to be one. There are probably better ways of doing what I am doing here but this is what I’ve been doing for better or worse. 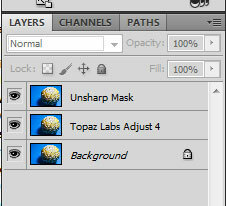 I then merge all the layers into a single layer. The final step is to do a spot treatment of the image. With digital there are times when sensor dust is visible in the image. A lot of this has to do with what aperture you shot with. To get rid of spots and blemishes I use the Spot Healing Brush with the Content Aware setting selected and create a diameter of brush that just covers the spot. One click and they are removed like magic. So that is a quick run-down on the work I did on this image. This was a pretty straight-forward image that didn’t require much Photoshop work. If you are looking for a good Photoshop book I have been using Adobe Photoshop CS5 for Photographers by Martin Evening which I find to be an excellent book on everything Photoshop.